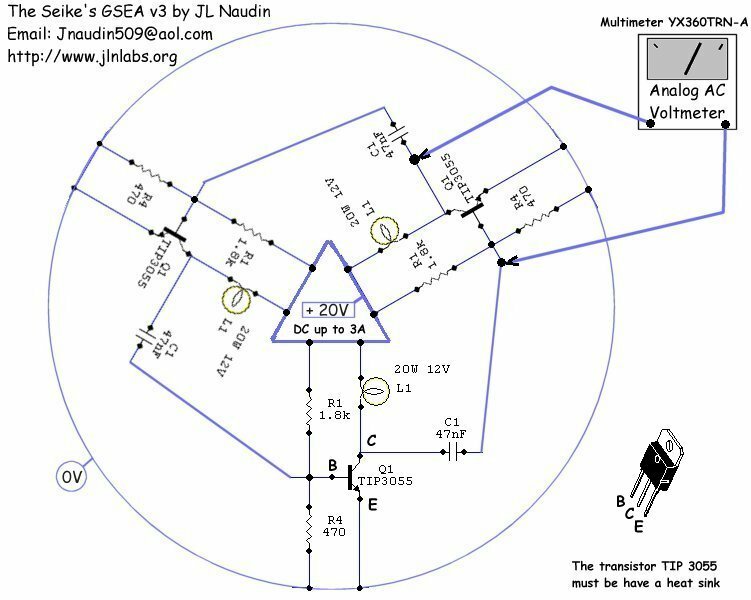 You will find in this page a new replication of the Seike's G -Strain Energy Absorber (GSEA) device according to his original description of the transistorized coil (see below). 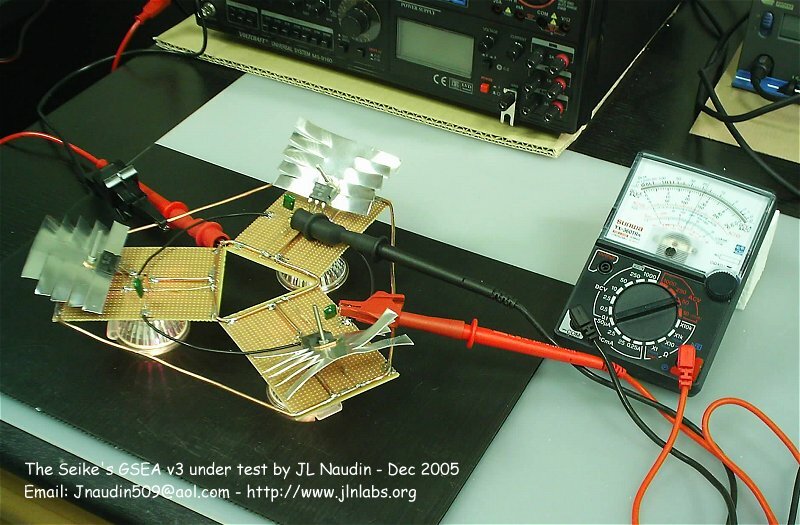 The purpose of the test of the GSEA v3 is to check if the original measurements conducted by the Professor Seike on his transistorized coil, on January 1981, can be retreived and replicated easily. I have not been able to find the 2SC521A used by Professor Seike, so, I have used common TIP 3055 NPN transistor. and filtered by a 1 µF/63V capacitor. The output voltage has been measured by a digital multimeter (Fluke 189) set in DC. A cooling fan has been added during the test and a cool-down time of 15 sec has been respected between each measurement. A cooling time is required to avoid the impedance change of the circuit due to the overheating. As you may notice the best output/input ratio (1.57) is obtained for 14 Volts DC at the input. 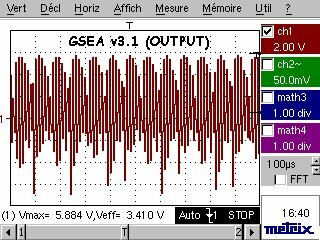 The current INPUT is measured across a 1 ohm resistor in serie with the GSEA, this can be also checked on the power supply. 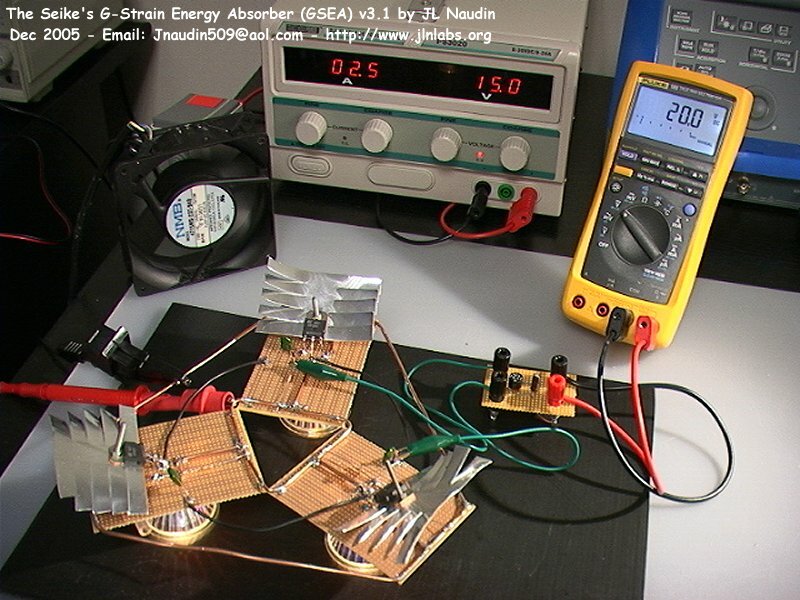 The current OUTPUT is measured across a 1 ohm resistor connected in serie with ONE LAMP L1 (on 1 branch only). 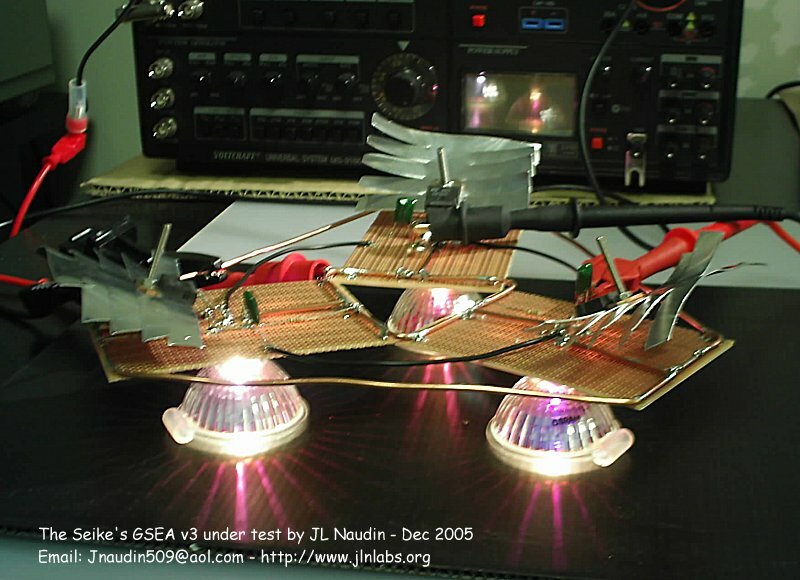 Above, the GSEA v3.2 under tests with a 1 ohm resistor at the input and a 1 ohm resistor at the output (datas here). 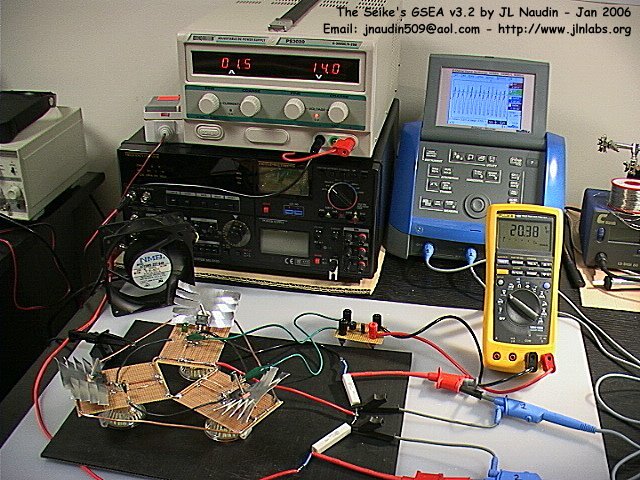 Today, the measured output voltage on the GSEA v3 seems fully in line with the original datas of Prof Seike's transistorized coil.